Stripes on the wall always do well and make every room a lot higher right eye. This non-woven wallpaper with narrow, vertical stripes in soft blue and beige is very playful in the nursery, but also wonderful for the living room or bedroom. This fabric is perfect for decorating a baby´s room / nursery, boy's room or children's room. 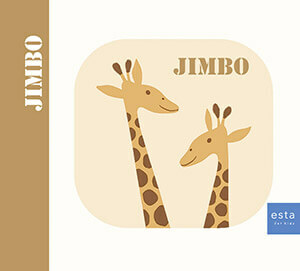 You will find this fabric with stripes in soft blue and beige (185806) the collection Jimbo.